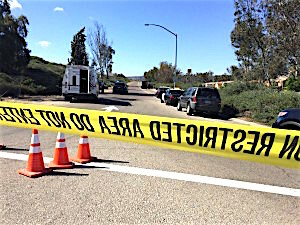 Alleged freeway on-ramp kill Edward Andrew Long, 38, of San Marcos. The freeway on-ramp killer, alleged, has been found and arrested. 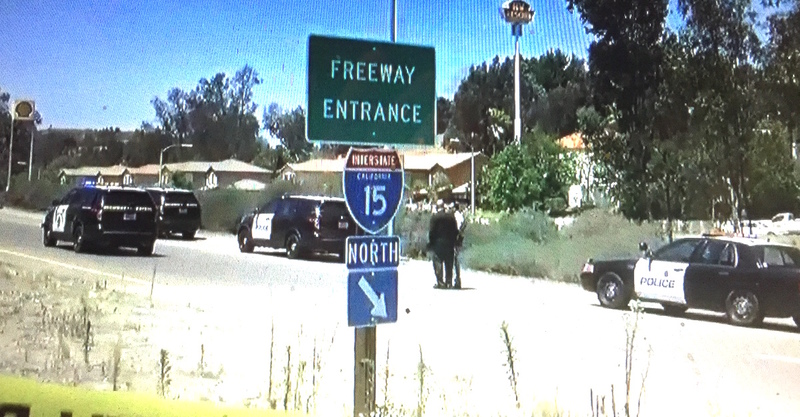 A seemingly routine Las Vegas traffic stop one week ago yielded the alleged killer of a woman found dead around 1 p.m. June 13 in a car to the side of the El Norte Parkway I-15 north entrance lane, Escondido police said Tuesday. Elizabeth Antoinette Perez, 38, of Fontana was found slumped over her black Mercury Sable steering wheel with head injuries on June 13. Edward Andrew Long, 38, of San Marcos, was arrested by Las Vegas Metropolitan Police on June 21 and announced by authorities today as Perez’ alleged murderer. Long also was identified police as her boyfriend who shot the woman to death, following an autopsy by the San Diego Medical Examiner. However, police, who have termed the case “complex” from its inception, didn’t provide a motive. Long sits without bail at a Las Vegas jail. He waived extradition on Monday with arrangements now being made to transport him back to North County to face charges. After an autopsy identified a gunshot wound in Perez’ death, detectives became suspicious of Long, who had disappeared from view. They served a search warrant at Long’s residence in San Marcos where several items were seized, then shared a crime bulletin with law enforcement agencies. Additionally, Long’s identifying information and vehicles associated with him were entered into law enforcement databases. And voila, On Tuesday June 21, a Las Vegas Metropolitan Police Officer conducted a traffic enforcement stop on a vehicle occupied by Edward Long. Las Vegas authorities said he was driving a borrowed car. During a Tuesday news conference, Escondido police Lt. Ed Varso gave out some investigative details, including; evidence seized, the existence of any statements, and possible motives will not be released at this time. Escondido Police thanked the San Diego County District Attorney’s Office, California Highway Patrol, and Las Vegas Metropolitan Police Department for the critical role they played in bringing an arrest in this case. Unsmiling and upset, members of Perez’ family sat in the conference room audience. They declined interviews. Escondido police Lt. Justin Murphy likewise declined to answer many questions during Tuesday’s news conference held at the Escondido police headquarters. “Specific details about this investigation, including evidence seized, the existence of any statements, and possible motives will not be released at this time,” Murphy said. Perez’s family was “devastated” by the loss, according to Murphy. Long’s previous tun-ins with authority, according to court records, included a 2004 assault with a deadly weapon charge in Riverside County. That charge was dismissed after he pleaded guilty to having committed more than $400 worth of vandalism. Otherwise, Long’s record included only minor traffic infractions and tickets followed in the next 12 years, along with one warrant being issued for failure to appear in court. Police returned to the scene of the crime three days later for a second search of the area, As that time, they called the investigation “complex” while spending several hours at the freeway on-ramp. Anybody with additional information about the situation should contact Escondido police at (760) 839-4722 or leave an anonymous tip at (760) 743-8477. At 1307hrs. first reports come into CHP and Escondido Police regarding an unresponsive female in a black Mercury Sable, which is parked along the right shoulder of the El Norte Pkwy. onramp to northbound I-15. CHP, Escondido PD, Escondido FD personnel respond. The female (later identified as Elizabeth Antoinette Perez) is pronounced dead at the scene. Escondido PD begins a death investigation. Investigation continues. Death is determined to be a homicide. Perez’s boyfriend, Edward Andrew Long is considered a person of interest in the case. A search warrant is served on Long’s residence in San Marcos. Several items were seized during the search warrant. Information about Long, and vehicles associated with him, are put into a crime bulletin and law enforcement databases. Long is detained during a traffic stop in Las Vegas. Long is ultimately arrested for the murder of Elizabeth Perez. Escondido Police Detectives worked closely with investigators in Las Vegas. Escondido Police Detectives traveled to Las Vegas where additional investigation and search warrants were served. Long waives extradition. Arrangements are being made to return him to San Diego County to be held on murder charges. Be the first to comment on "Alleged I-15 freeway on-ramp killer arrested"